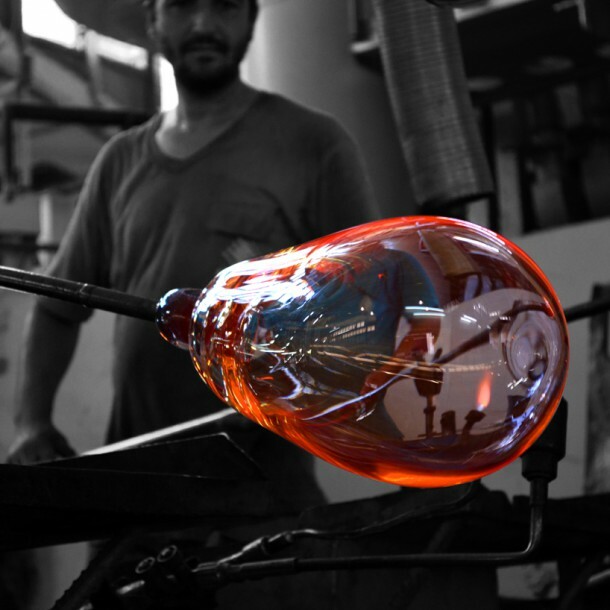 British designer Benjamin Hubert has launched Beacon, a pendant and desk light designed as part of the Glass is Tomorrow workshop held recently in Denizli, Turkey. 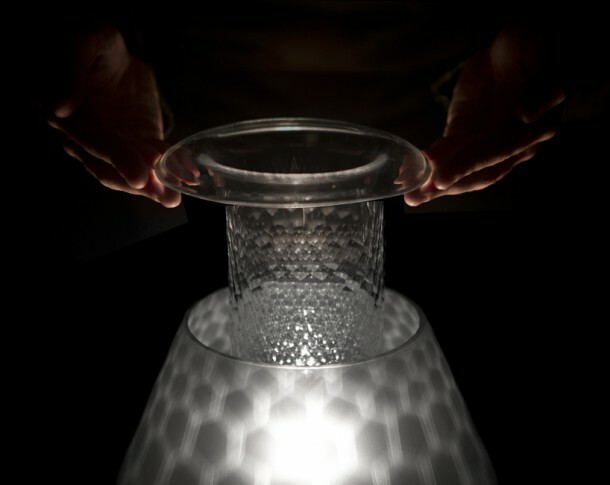 Beacon was designed to explore how traditional glass working techniques can be adapted to contemporary use in lighting, and how light itself can be used an integral element to the design. 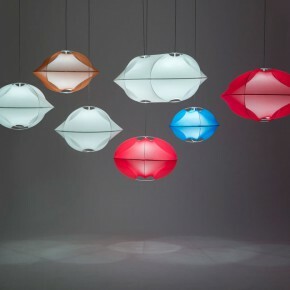 The Beacon lamps celebrate purity of form and comprise two simple and elegant blown glass components – the pendant and desk lamps have the same internal component, but differ in their external component. 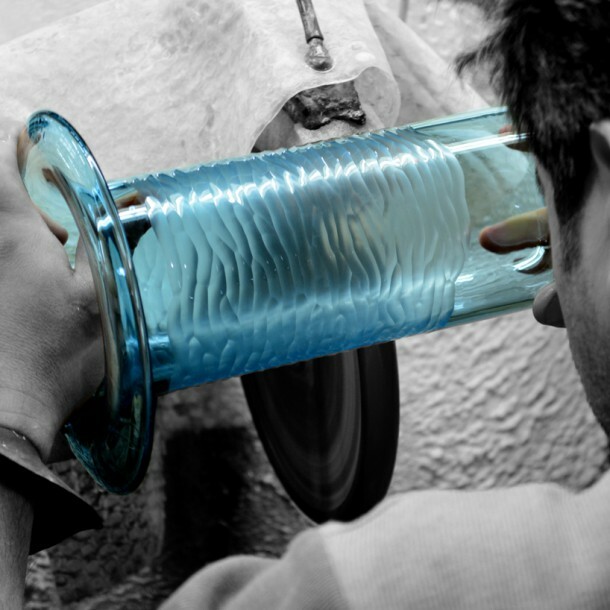 The common interior component is hand-blown and then cold-worked using a traditional technique known as battuto, in which the surface of the glass is hand-cut on a girding machine to create a pattern of grindings of variable shape and depth. 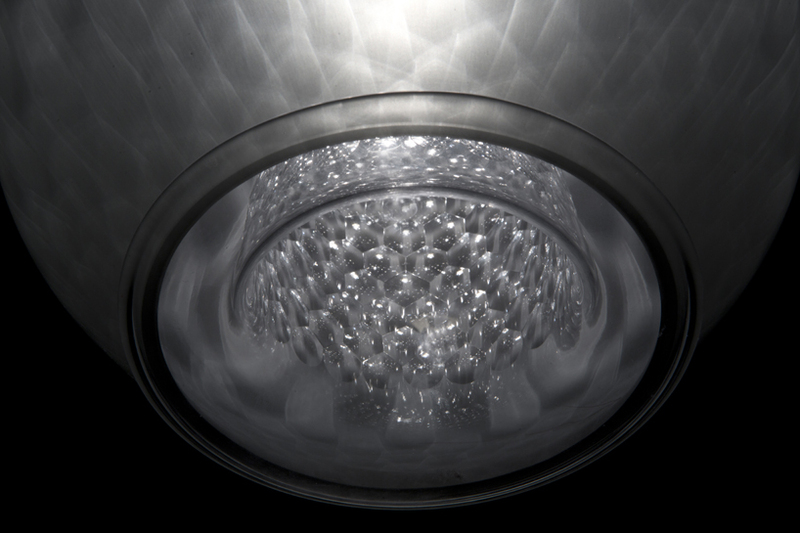 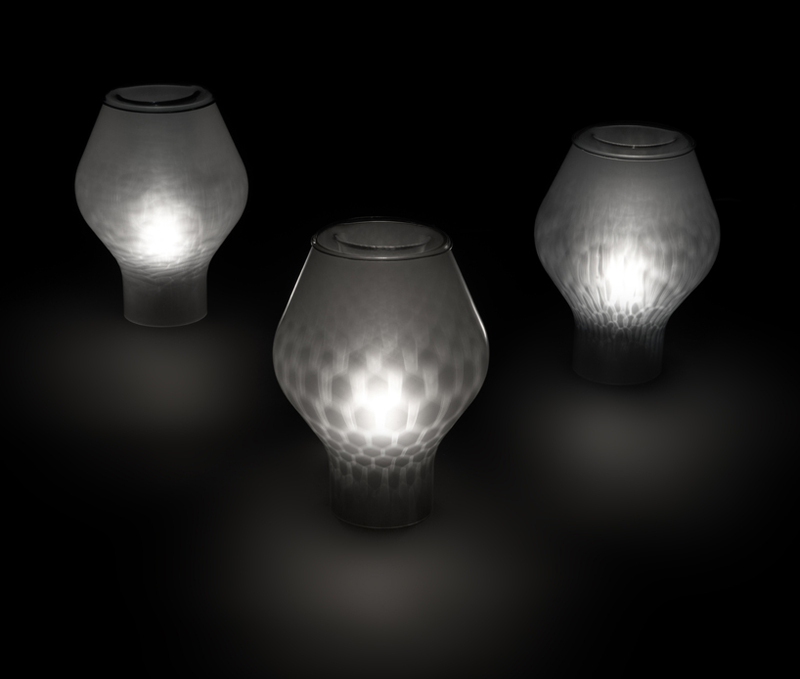 Light is then projected through the internal component, creating decorative caustics caused by the shadow and highlights of the battuto pattern on the external blown glass component. 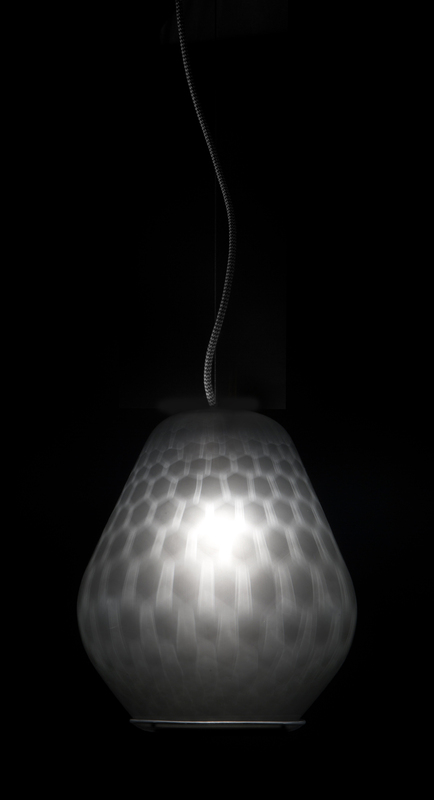 The external component of both the pendant and desk lamp is sand- blasted on the interior to better capture the caustic effect and to diffuse the light.